Luther College was established in 1913 and consists of a high school campus and a post-secondary campus, federated with the University of Regina. Students pay tuition to attend, and the provincial government also partially funds Luther College. Luther is not a “private school” in that a true private school receives no government funding. Luther offers the Saskatchewan government regulated curriculum, the university recognized International Baccalaureate program and diverse liberal arts programming. Luther College also relies on the generosity and philanthropy of alumni and donors to support our programs, facilities, scholarships and financial assistance opportunities. 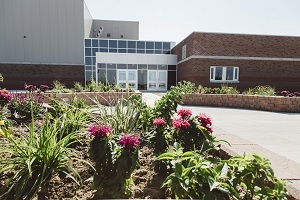 The High School campus recently completed a $18.3 million dollar expansion in 2014 which includes a new performance stage, three new classrooms (two of which are dedicated to fine arts), a new gymnasium and student fitness training centre, our first student commons area, and upgrades to existing structures. The school also has fully renovated science laboratories and extensively upgraded on-campus dormitories. Our school population is approximately 460 students, with 80 of them from international locations such as Hong Kong, Germany, Nigeria, Ghana, Zambia, Philippines, South Africa, Vietnam, Ireland, Korea, Taiwan, Mexico, and China. We have an on-campus dormitory with space for 50 boys and 50 girls. The average class size is 23 students. Students admitted to Luther College are not required to be Lutheran or Christian. In fact, we value diversity in every aspect of our school population. By welcoming students of all backgrounds, Luther College enjoys a richly diverse student body. Luther College has an outstanding academic program and university preparation with at least 96 percent of graduates going on to post-secondary education, including institutions such as the University of Regina, University of Saskatchewan, Dartmouth, John Hopkins, McGill, Harvard, Oxford, Yale, and Queen’s. Our alumni have been Rhodes Scholars and Nobel Prize Winners. Since 1973, Luther College has presented an annual Broadway musical. We value excellence in teaching and care for our students as individuals in the community.